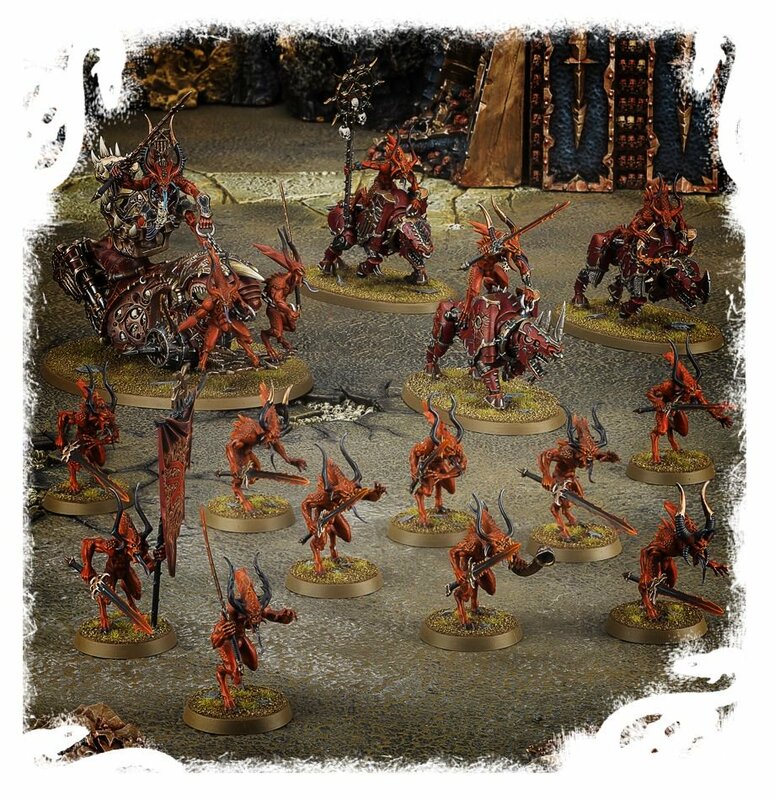 This is a great-value box set that gives you an immediate collection of fantastic Daemons of Nurgle miniatures, which you can assemble and use right away in games of Warhammer Age of Sigmar! 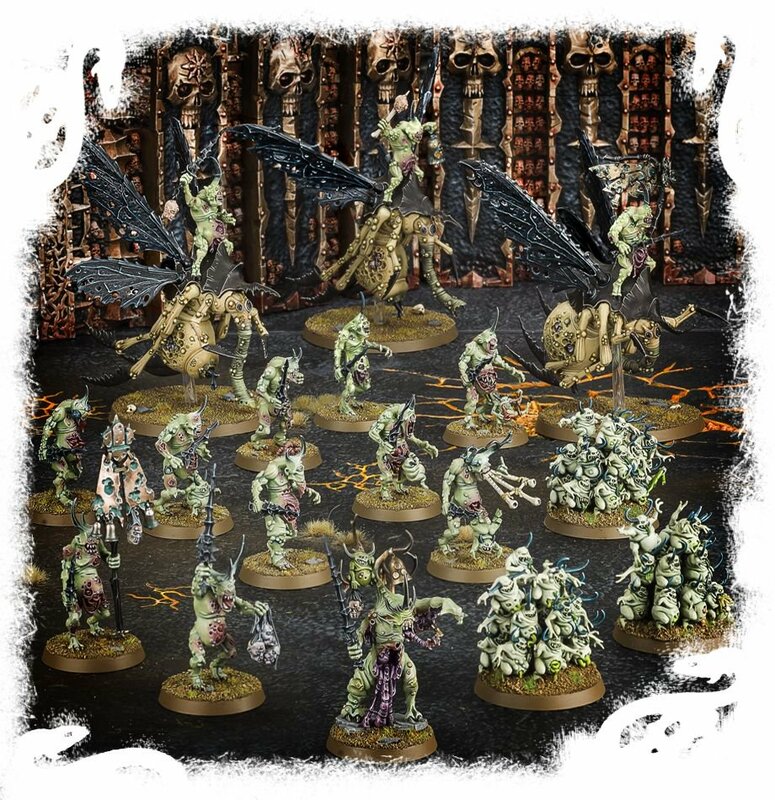 You’ll receive a Herald of Nurgle, a set of three Plague Drones, a set of three Nurglings, a set of ten Plaguebearers of Nurgle and an exclusive Warscroll Battalion rules sheet - Glugurous’ Plagueband - allowing you to collect, assemble and play with your new miniatures right away! #GAW 70-98 - Price: $ 85.00 - $ 68.00 On Sale! #GAW 70-97 - Price: $ 85.00 - $ 68.00 On Sale!